Plain tinctures and parchment finishing. This wind musical instrument appears at [Académie internationale d'héraldique; 1952; figura 476] as «claricord» and also «clarion», I like more this second name. 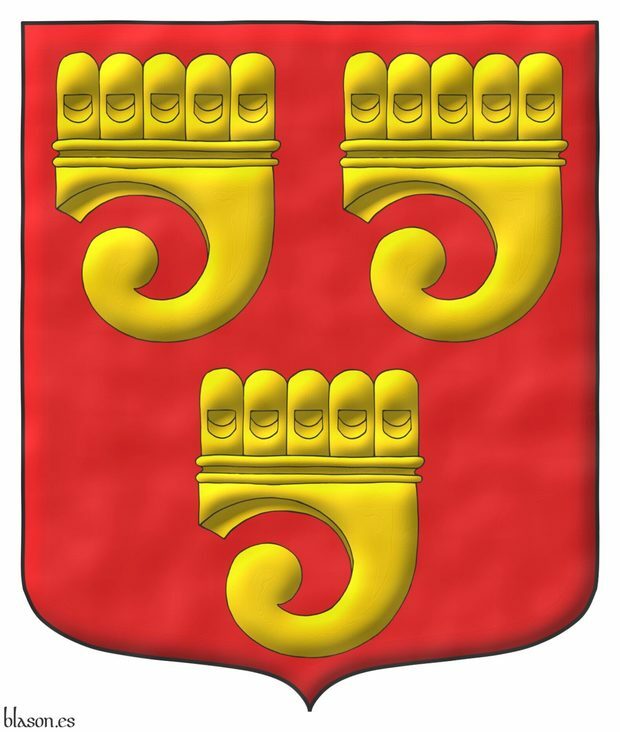 The clarion is also called «clarichord», «sufflue» or «rest». 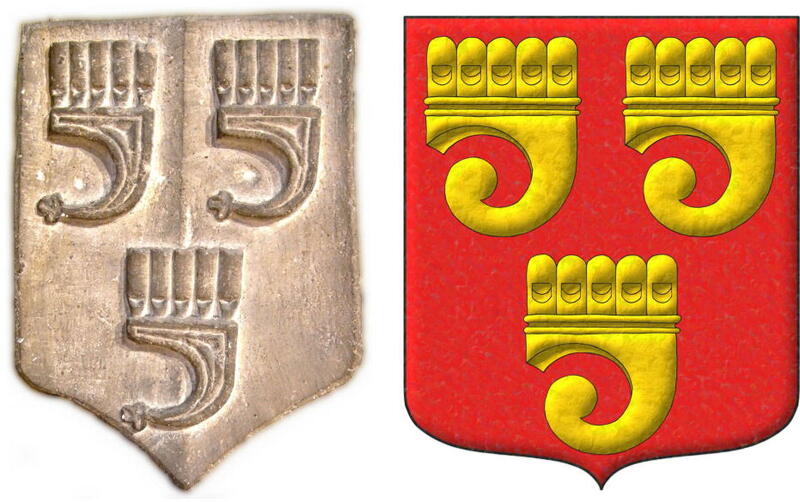 Then other alternative blazons for this coat of arms could be «Gules, three Claricords Or», «Gules, three Clarichords Or» or «Gules, three Sufflues Or». Style keywords: Parchment, Outlined in sable and Spot ink. Classification: Interpreted and Kingdom of England. 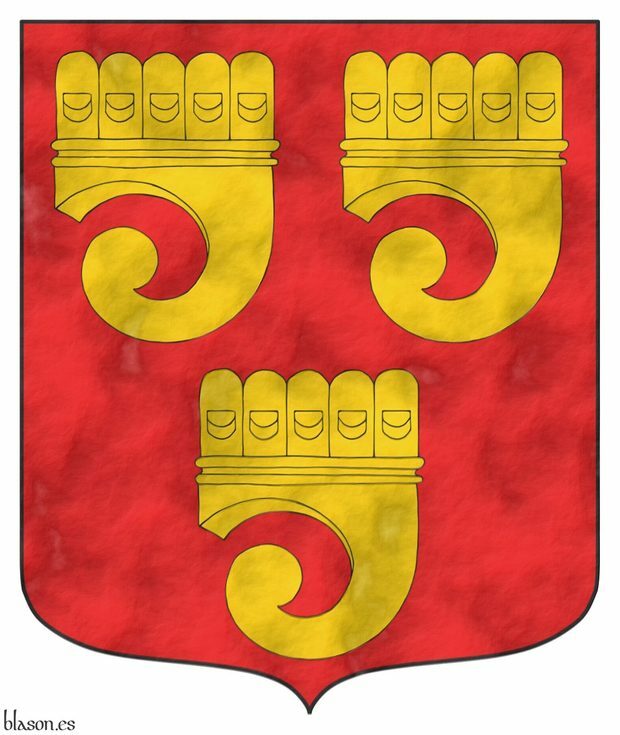 The clarion is the cadency mark of a ninth daughter in Canadian heraldry. Style keywords: Watercolor, Outlined in sable and Illuminated. 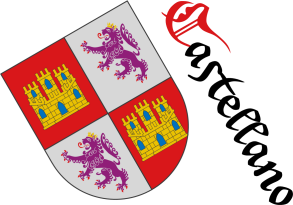 Classification: Interpreted, Kingdom of England and Schema. Watercolor, Parchment, Clarion, Outlined in sable, Schema, Photographic format, Grenville, Thomas, Gules, Illuminated, Interpreted, Or, Without divisions, Kingdom of England, Spot ink, Freehand and Three.